Replacement of a nonexistent or damaged esophagus continues to pose a significant challenge to pediatric surgeons. Various esophageal replacement grafts and techniques have not produced consistently good outcomes to emulate normal esophagus. Therefore, many techniques are still being practiced and recommended with no clear consensus. We present a concise literature review of the currently used techniques and with discussions on the advantages and anticipated morbidity. There are no randomized controlled pediatric studies to compare different types of esophageal replacements. Management and graft choice are based on geographical and personal predilections rather than on any discernible objective data. The biggest series with long-term outcome are reported for gastric transposition and colonic replacement. Comparison of different studies shows no significant difference in early (graft necrosis and anastomotic leaks) or late complications (strictures, poor feeding, gastro-esophageal reflux, tortuosity of the graft, and Barrett's esophagus). The biggest series seem to have lower complications than small series reflecting the decennials experience in their respective centers. Long-term follow-up is recommended following esophageal replacement for the development of late strictures, excessive tortuosity, and Barrett's changes within the graft. Once child overcomes initial morbidity and establishes oral feeding, long-term consequences and complications of pediatric esophageal replacement should be monitored and managed in adult life. Aim: The aim of the study is to review 7 patients with congenital esophageal stenosis treated in our institution from a diagnostic and therapeutic point of view. Materials and Methods: This is a retrospective cohort study of 7 patients treated in Christian Medical College, Vellore from 2008 to 2014. The data were analyzed with regards to age at onset of symptoms, investigative findings, age at definitive treatment, pathology, modalities of treatment, and outcomes. Results: Symptoms started within the 1 st year of life in all children with a median age of 4 months. The time of delay in diagnosis ranged from 8 months to 81 months with a mean period of 37 months. About 6 patients had a lower esophageal stenosis and 1 patient had a mid-esophageal stenosis. About 4 of the 7 children underwent endoscopic balloon dilatation from elsewhere, with 2 of the above 4 undergoing a myotomy for a wrongly diagnosed achalasia. The number of dilatations ranged from 2 to 7 with a mean of 4 dilatations. 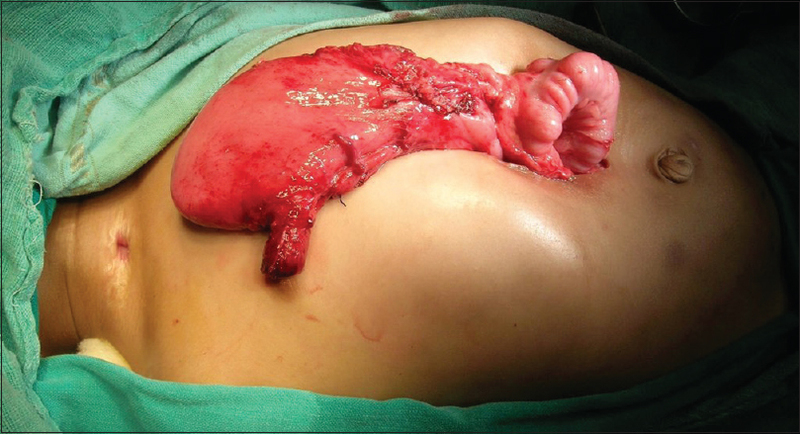 Resection of the stenotic segment with end to end anastomosis was employed in 6 of the 7 patients, and a transverse colon interpositioning was done in 1 patient. An antireflux procedure was performed in one patient. Histopathological examination of the resected specimen revealed tracheobronchial remnant in 3 patients, fibromuscular thickening in 3 patients, and membranous web in 1 patient. 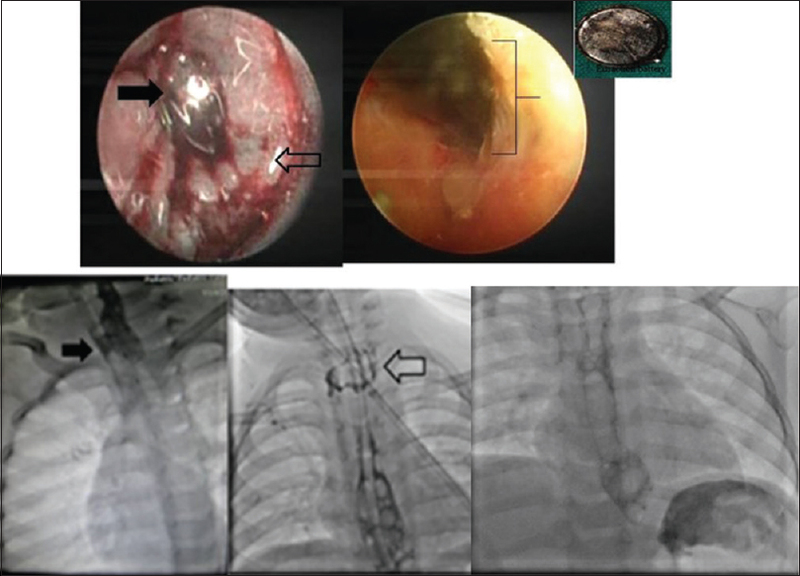 Postoperatively, 2 of the 7 patients had asymptomatic gastroesophageal reflux and 1 patient had postoperative stricture requiring one session of endoscopic balloon dilatation. The mean follow-up period was 42 months (range 18-72 months). At the time of the last follow-up, all 7 patients were able to eat solid food, and none of the children were found to have symptoms suggestive of obstruction or gastroesophageal reflux. There was a statistically significant increase in the weight for age after the operation. Conclusion: Congenital esophageal stenosis is rare and often confused with other causes of esophageal obstruction. Although endoscopic balloon dilatation offers an effective temporary relief, we feel that definitive surgery is curative. Long-term results following definitive surgery have been good, especially with respect to symptoms and weight gain. Aim: The aim of this study was to report the results of pediatric esophageal substitution by gastric pull-up (GPU) and gastric tube (GT) from a tertiary care pediatric center. Materials and Methods: Retrospective analysis of the surgical techniques, results, complications, and final outcome of all pediatric patients who underwent esophageal substitution in a single institution was performed. Results: Twenty-four esophageal substitutions were performed over 15-year period. The indications were pure esophageal atresia (EA)-19, EA with distal trachea-esophageal fistula-2, EA with proximal pouch fistula-1, and esophageal stricture in two patients. Mean age and weight at operation were 17 months and 9.5 kg, respectively. GPU was the most common procedure (19) followed by reverse GT (4) and gastric fundal tube (1). Posterior mediastinal and retrosternal routes were used in 17 and 7 cases, respectively. Major complications included three deaths in GPU cases resulting from postoperative tachyarrhythmias leading to cardiac arrest, cervical anastomotic leak-17, and anastomotic stricture in six cases. Perioperative tachyarrhythmias (10/19) and transient hypertension (2/19) were observed in GPU patients, and they were managed with beta blocker drugs. Postoperative ventilation in Intensive Care Unit was performed for all GPU, but none of the GT patients. Follow-up ranged from 6 months to 15 years that showed short-term feeding difficulties and no major growth-related problems. Conclusions: Perioperative tachyarrhythmias are common following GPU which mandates close intensive care monitoring with ventilation and judicious use of beta blocking drugs. Retrosternal GT with a staged neck anastomosis can be performed without postoperative ventilation. Aims: To evaluate and describe the procedure and outcome of ileocolic replacement of esophagus. 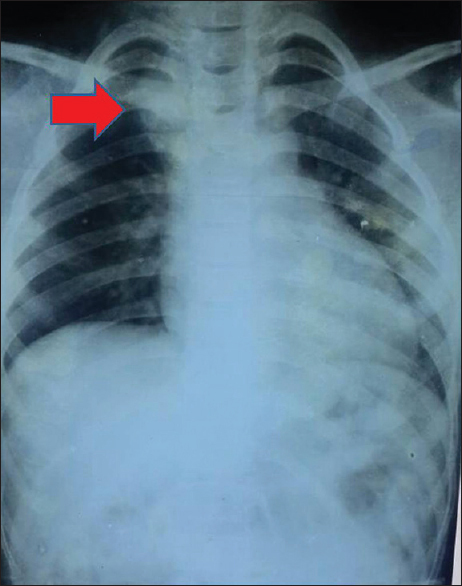 Materials and Methods: We review 7 children with esophageal injuries, who underwent esophageal replacement using ileocolic segment in Christian Medical College, Vellore, India between 2006 and 2014. Results: The ileocolic segment was used in 7 children with scarred or inadequate esophagus. There were 4 girls and 3 boys, who underwent esophageal replacement using isoperistaltic ileocolic segment in this period. Age at presentation varied from 1 month to 14 years with an average of 4.6 years. 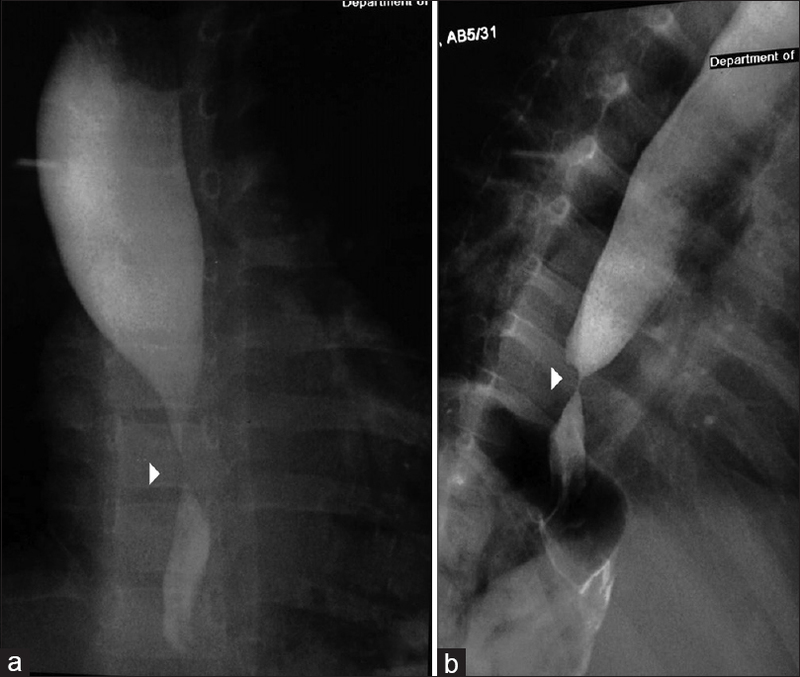 The indications for ileocolic replacements were corrosive strictures in 5, failed esophageal atresia repair in one and gastric volvulus related esophageal stricture in another. The average follow-up duration was 37 months. One child with corrosive stricture lost to follow-up and died 2 years later in another center. Other 6 children were free of dysphagia till the last follow-up. Conclusions: Although the ileocolic segment is not commonly used for esophageal substitution, it can be useful in special situations where the substitution needs to reach the high cervical esophagus and also where the stomach is scarred and not suitable for gastric pull-up. 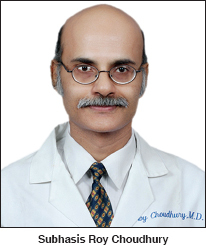 Aim: To review the technique of thoracoscopic repair of esophageal atresia with tracheoesophageal fistula (TREAT) and results reported in literature and with authors' experience. Patients and Methods: The technique of TREAT was reviewed in detail with evaluation in patients treated at authors' institution. The patients were selected based on selection criteria and were followed postoperatively. The results available in literature were also reviewed. Results: A total of 29 patients (8 females) were operated by TREAT. Mean age was 2.8 days (range 2-6 days). Mean weight was 2.6 kg (range 1.8-3.2 kg). There was a leak in four patients, and two patients had to be diverted. They are now awaiting definitive repair. Twenty-one patients have completed a mean follow-up of 1.5 years and are doing well except for two patients who had a stricture and underwent serial esophageal dilatations. The results from current literature are provided in tabulated form. Conclusions: TREAT is now a well-established procedure and currently is the preferred approach wherever feasible. The avoidance of thoracotomy is a major advantage to the newborn and is proven to benefit the recovery in the postoperative patient. The technique demonstrated, and the tweaks reported make the procedure easy and is helpful to beginners. The outcome is very much comparable to the open repair as proven by various series. Various parameters like leak rate, anastomotic stricture are the same. The outcome is comparable if you TREAT these babies well. Aim: This study was aimed at identifying factors which may affect the gap length in cases of esophageal atresia with tracheoesophageal fistula (EA-TEF) and whether gap length plays any role in determining the outcome. Materials and Methods: All consecutive cases of EA-TEF were included and different patient parameters were recorded. Plain radiographs with a nasogastric tube in the upper esophagus were taken. Patients were grouped into T1-T2; T2-T3; T3-T4; and T4 depending on the thoracic vertebral level of the arrest of the tube. During surgery, the gap length between the pouches was measured using a Vernier caliper and the patients were grouped into A, B, and C (gap length >2.1 cm; >1-≤2 cm and ≤1 cm). The operative gap groups were compared with the radiography groups and the other recorded parameters. Results: Total numbers of cases were 69. Birth weight was found to be significantly lower in Group A (mean = 2.14 kg) as compared to Group B (mean = 2.38 kg) and Group C patients (mean = 2.49 kg) (P = 0.016). 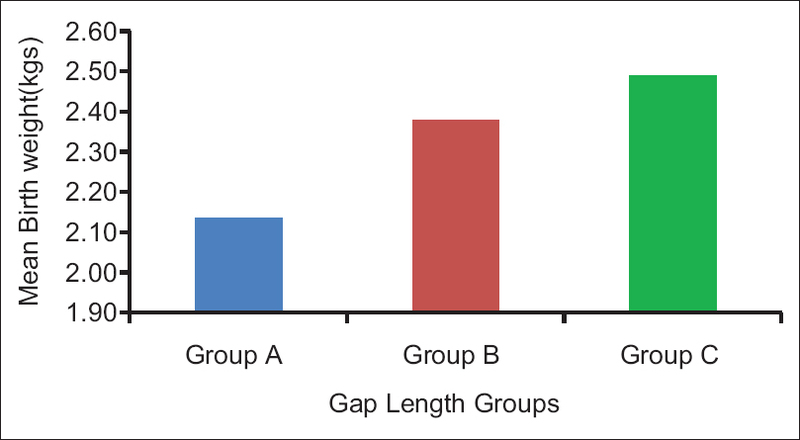 The radiographic groups compared favorably with the intraoperative gap length groups (P < 0.001). The need for postoperative ventilation (70.83% in Group A vs. 36.84% in Group C, P = 0.032) and mortality (62.5%, 26.9% and 15.8% in Group A, B, and C, respectively, P = 0.003) co-related significantly with the gap length. Conclusion: Birth weight had a direct reciprocal relationship with the gap length. Radiographic assessment correlated with intraoperative gap length. Higher gap length was associated with increased need for postoperative ventilation and poor outcome. Aims: To evaluate the outcome of the operated children of esophageal atresia (EA) focusing on their early and late morbidity and mortality and quality of life (QoL) of survivors. Settings and Design: A cross-sectional follow-up with retrospective analysis of available medical and surgical records of children who underwent repair for EA. Materials and Methods: The medical records of the children who underwent repair for EA during the period from 2000 to 2011 at the Christian Medical College Hospital, Vellore, were collected retrospectively. Patients with parents were invited to visit the hospital for follow-up and nutritional status, digestive and respiratory symptoms, status of associated anomalies and QoL assessment of children done. QoL assessment was done using the PedsQL™ 4.0 generic core scales questionnaire comprising 4 scale scores: physical, emotional, social functioning, and school functioning. Mean scores are calculated based on a 5-point response scale for each item and transformed to a 0-100 scale with a higher score representing better QoL. Statistical Analysis Used: Statistical Package for Social Sciences (SPSS) version 16 using Chi-square or Fisher's exact test. Results: Of 79 patients operated during the said period, there were 10 deaths and a total of 69 (87%) children survived. Of the 66 patients available for follow-up, we interviewed 30 parents and children while for the remaining 36 children, out-patients charts were reviewed retrospectively. Mean follow-up duration was 3.56 years. 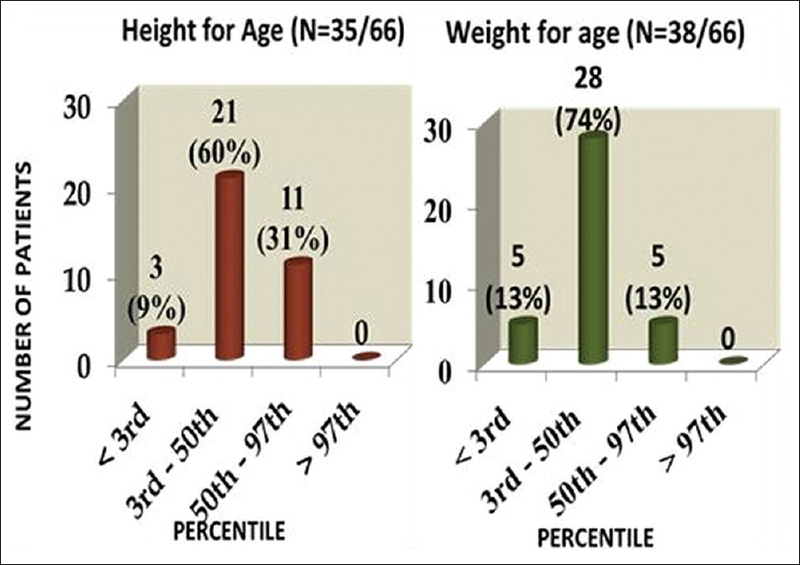 The height and weight for age measurement showed 47% and 56% of children respectively as below the 5 th percentile. Main problems faced by operated EA children were of the respiratory (26%) and gastroesophageal (36%) tracts. In spite of the mentioned problems faced, the overall QoL of this group appeared good. In 23 of 30 patients, who answered PedsQL™ , more than 70% had scores >85 out of 100 in QoL scoring. Conclusions: While survivals of the children born with EA have improved, these children still face nutritional, respiratory, and gastroesophageal problems during their early childhood. In spite of this, the overall QoL of this patient group appears good. Aim: To review the patients with esophageal injuries and stenosis with respect to their etiology, clinical course, management, and the lessons learnt from these. 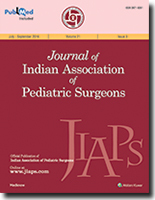 Materials and Methods: Retrospective descriptive observation review of children with esophageal injuries and stenosis admitted between January 2009 and April 2015. 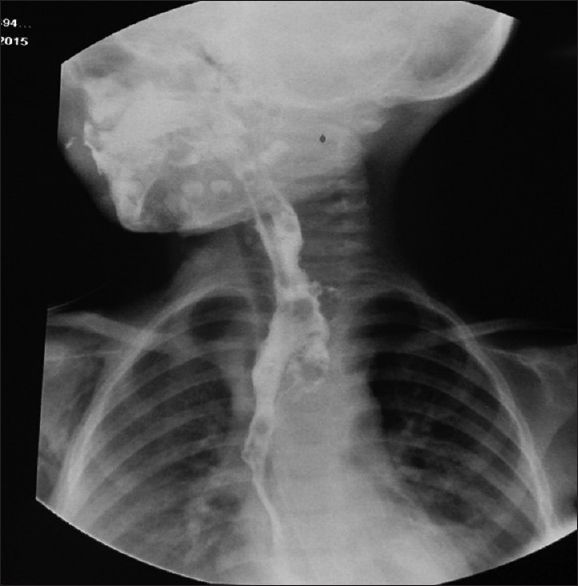 Results: Eighteen children with esophageal injuries of varied etiology were managed and included, seven with corrosive injury, five with perforation due to various causes, three with mucosal erosion, two with trachea esophageal fistula (TEF), and one wall erosion. 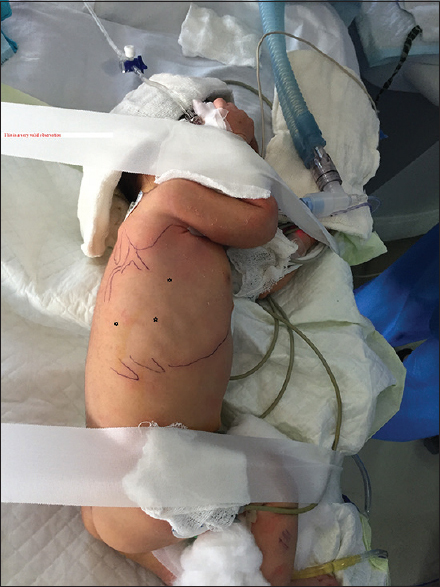 The five children who had perforation were due to poststricture dilatation in a child with esophageal atresia and secondary to foreign body impaction or its attempted retrieval in four. Alkaline button cell had caused TEF in two. Three congenital esophageal stenosis (CES) had presented with dysphagia and respiratory tract infection. 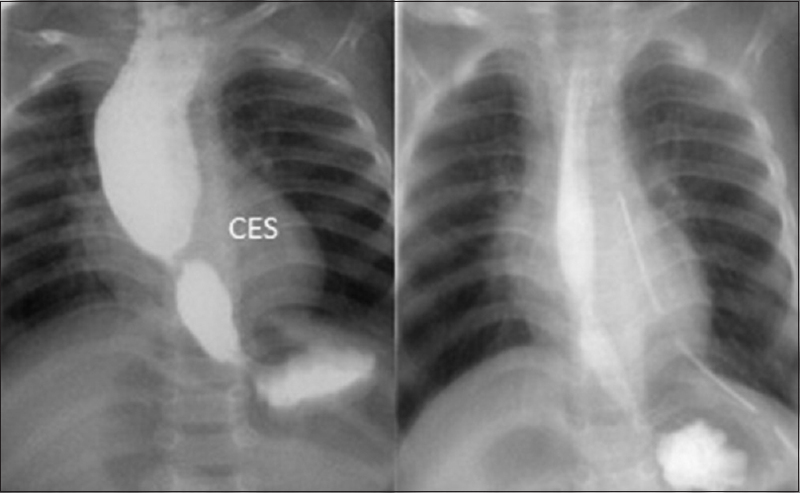 Six corrosive stricture and two CES responded to dilatation alone and one each of them required surgery. Four of the children with esophageal perforation were detected early and required drainage procedure (1), diversion (1), and medical management (2). Pseudo diverticulum was managed expectantly. Among TEF, one had spontaneous closure and other one was lost to follow-up. All the remaining nineteen children have recovered well except one CES had mortality. Conclusion: Esophageal injuries though rare can be potentially devastating and life-threatening. Long gap esophageal atresia (OA) is a challenging condition. While discussing the various methods of management available to us, we report the use of magnetic resonance imaging in a case of pure OA to judge the gap between two ends of the esophagus. Thoracoscopy has major advantages over thoracotomy. 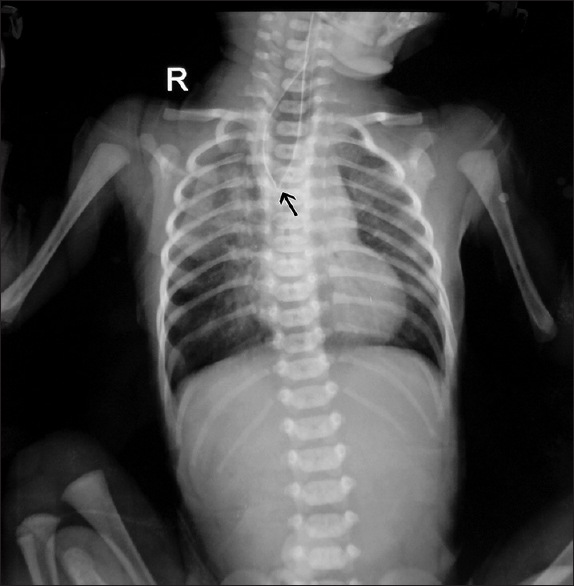 We report a successful management of foregut duplication cyst thoracoscopically in a child with review of literature. Congenital esophageal stenosis (CES) is a rare cause of dysphagia in children. Diagnosis is often apparent on esophagogram. Surgical treatment for the subtype with tracheobronchial remnants (TBR) includes resection and anastomosis of the stenosed segment, myectomy, enucleation of cartilage, etc., These procedures are not suitable if the stenosed segment is long. We present a case of a 5-year-old boy who was diagnosed as CES and was successfully managed with stricturoplasty with some innovative modifications. 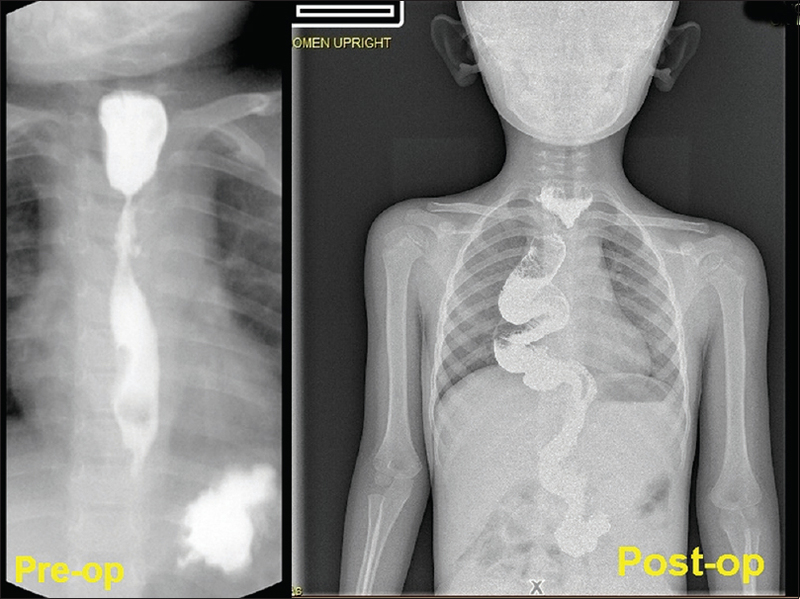 Esophageal substitution in children is a rare and challenging surgery. The minimally invasive approach for esophageal substitution is novel and reported from a few centers worldwide. While detailed report on the various complications of this approach has been discussed in adult literature, the pediatric experience is rather limited. We report the laparoscopic management of a rare complication which developed after laparoscopic esophagectomy and esophageal substitution. The timely recognition and management by the minimally invasive approach have been highlighted.